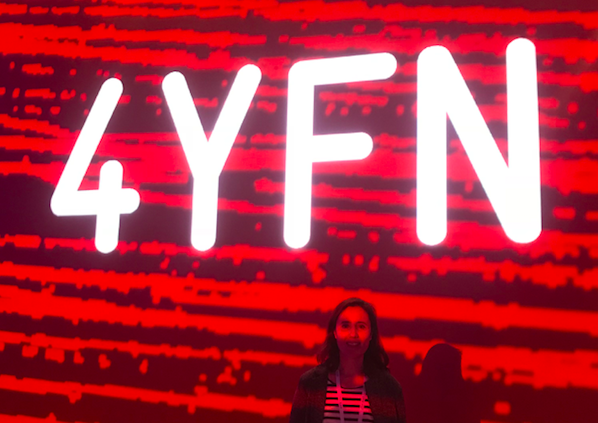 This 2018 we have gone to 5th Edition of 4YFN an event of Mobile World Congress 2018 in Barcelona. In these days, we have seen a lot of friends, so Barcelona is a small city where everyone knows each other. We are so close with our beloved team and clients in 2015 B-wom: the app to solve architectural and functional problems, they have been nominated to win the 4YFN Awards 2018 from 10 finalist startups selected to pitch. We are wishing them a luckily pitch! Creating news contacts with Startups but we want to underline two startups: psonrie an app connects a psychologist to people and Biel glasses, a father project to develop a smart glasses to improve visual perception of people with low vision. Also, we have seen a lot of Betahaus friends, as Susana Grau with her project Seeding Growth , Eduardo Forte: CEO & Co-founder en Betahaus, Kim Fredik as CEO of a new platform to connect patients with Doctors: Abi ; or Albert Arguilés with Cocooking. We have done a picture with Seat (see on our Instagram), and B-next (a card who works with all the financials banks and credits) and have discovered Flutter by Google: easy framework and fast to build beautiful mobile apps. Women4Tech: How To Thrive As A Woman In Tech with Susanne Birgersdotter, talking about Confidence, Self-estimate and Women in Technology. The Opening Ceremony with an amazing Yossi Vardi – Chairman 4YFN-, Carlos Grau – CEO Mobile World Capital Barcelona Foundation (MWCB) and Esteban Redolfi – Executive Director 4YFN-. The Story Of Typeform With The Co-Founders And Index Ventures. A crowdy Workshop with Xavier Foz, partner of Roca Junyen about ICOs: The Issuance Of Tokens As A New Way Of Financing: Initial coin offerings (ICOs) has become the new “gold rush” not only for investors but also for start-ups. Companies issuing tokens have managed to raise billions in aggregate and the financing channelled into blockchain projects through ICOs has already surpassed that coming from traditional venture capital funds. State Of The Crypto, Token And Blockchain Market a presentation and panel discussion about the current status of the crypto, tokens and ICOs and blockchain market and what the potential future developments. Startup With Google with Sofia Benjumea, Head of Campus Madrid, has explained how Google is supporting the growth of startups, also presenting the new edition of Campus Residency and the website Startup Google a tool to start your idea. Finally, we had lunch on the Plaça Major, an area full of amazing food trucks for all foodies and have eaten a free gluten of fried bowl potatoes with salad, chicken, avocado and eggplant. 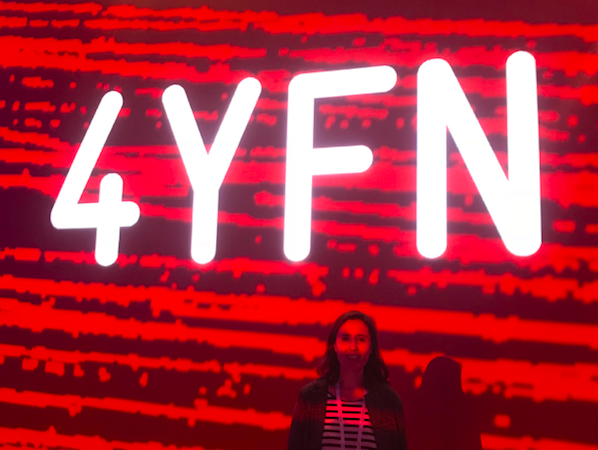 Amazing days in 4YFN: full of conferences and great and new ideas.